Abstractive summarization is a renewed and challenging task of document summarization. Recently, neural networks, especially attentional encoder-docoder architecture, have achieved impressive progress in abstractive document summarization. However, the saliency of summary, which is one of the key factors for document summarization, still needs improvement. In this paper, we propose Topic Attentional Neural Network (TANN) which incorporates topic information into neural networks to tackle this issue. Our model is based on attentional sequence-to-sequence structure but has paired encoders and paired attention mechanisms to deal with original document and topic information in parallel. Moreover, we propose a novel selection method called topic selection. 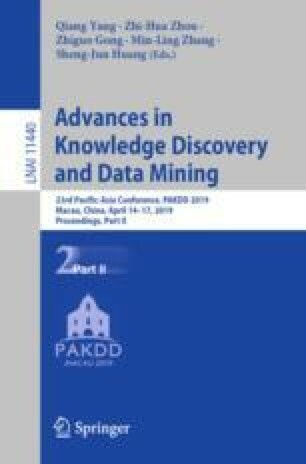 This method uses topic information to improve the standard selection method of beam search and chooses a better candidate as the final summary. We conduct experiments on the CNN/Daily Mail dataset. The results show our model obtains higher ROUGE scores and achieves a competitive performance compared with the state-of-the-art abstractive and extractive models. Human evaluation also demonstrates our model is capable of generating summaries with more informativeness and readability. This research is supported by National Natural Science Foundation of China (Grant No. 61773229), Basic Scientific Research Program of Shenzhen City (Grant No. JCYJ20160331184440545), and Overseas Cooperation Research Fund of Graduate School at Shenzhen, Tsinghua University (Grant No. HW2018002).